A career in nursing offers so many opportunities and thankfully there are nurses able to handle the challenges of the various fields. It’s not a “one size fits all” career choice by any stretch of the imagination. Pediatrics is just one example. Nursing presents the full gamut from extreme joy to bitter and seeming unending sadness. This alone create a huge challenge to nurses who must be able to deal with what gets thrown at them at the same time helping the patients and their families cope or celebrate as well. Pediatrics is a fast-growing area of specialty for all nurses and it’s one of the fastest growing Advance Practice fields in nursing. Pediatric Nurse Practitioners are in constant demand and offer vast employment opportunities in both urban as well as rural areas. Pediatrics takes a special kind of person because the field presents a fairly unique challenge in being able to assess and treat patients who may not be able to tell you what’s wrong or how they feel. Even if they can speak, they may not be able to communicate their symptoms and responses to treatment accurately or adequately. Babies and young children may be too frightened or emotional to even consider participating in the assessment. Tweens and teens may present with stubborn or apathetic attitudes that can affect assessment and compliance with necessary treatment. In addition, pediatric nurses must be able to educate and assist frightened and emotional parents about the care and treatment of their children. This includes wellness checks and vaccinations and escalates exponentially if illness or injury is involved depending on the severity. Parents are an essential part of the assessment process, yet eliciting information can sometimes be as difficult as working with the children. There is no place for judgement; only acceptance of the challenge to educate and attempt to improve the quality of life and care for the children. In that vein, mandated reporting of suspected abuse or neglect is required in most states, but it only involves making the report, not making the investigation and conclusions. A gentle bedside manner, patience and persistence is important. Having a strong knowledge base and confidence is essential. Keeping up with new trends and fads is vital to gaining and keeping the confidence of even the most stubborn adolescents. It’s also very important for parents to have confidence in their children’s healthcare team. If their child is comfortable, the parents will usually be as well, and vice versa. Parents often take their cues and learn tips and tricks from nurses for such things as how to administer medications safely and accurately to even the wiggliest baby or reluctant tweenager. They can also learn how to start and have difficult conversations with their children at all ages, and how to bridge generation gaps from their pediatric nurse. 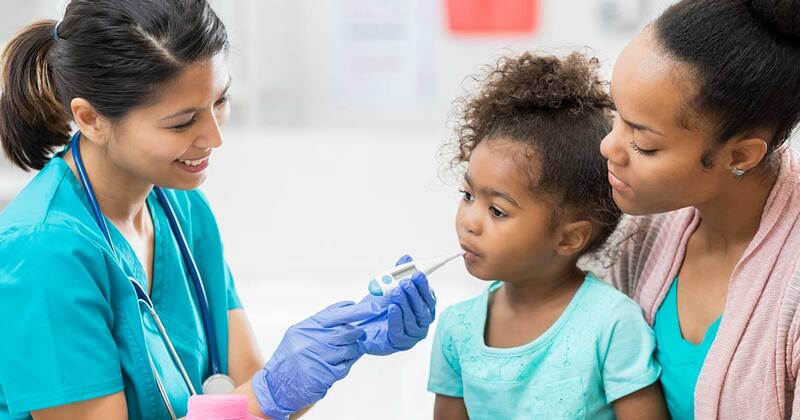 CE courses can provide nurses an opportunity to explore pediatric nursing by learning more about the basic knowledge base needed and examining their own knowledge base. Pediatric nursing offers a wide variety of care and treatment specialties and levels ranging from working in pediatric offices and clinics to the highest levels of acute care in PICU and NICU. Children are not immune to diseases and conditions that afflict adults. Juvenile diabetes and juvenile arthritis are just two of the autoimmune diseases that affect children in a very different yet similar manner from adults and provide specialty care options to pediatric nurses. Other areas include oncology, orthopedics, neuro, rare diseases, home care and hospice. Continuing education for pediatric nurses is vital to their safe and effective practice. Some of the most rapid changes and advancements in healthcare are in the field of pediatrics. And everything is geared to a much smaller patient. Keeping up with these advancements requires information and education. Many nursing skills remain constant whether working with children or adults. One is a strong working knowledge of math. Math is probably one of the most important skills for pediatric nurses as medication titration by weight is something that needs to be considered with every patient. Although the process may be automated, the nurse is still responsible to double check the dosage accuracy before administering medications to any patient. Laboratory values will also be different for pediatric patients and should be understood by nurses managing the care of young patients in order to accurately educate their parents on the findings and necessary care including diet and lifestyle issues. Lifesaving skills are different when dealing with children, and whether or not your position requires PALS certification, any nurse needs to understand the different approaches for children. Continuing education courses in these areas are recommended on a recurring basis to prevent complacency. Nurses are the backbone of the healthcare system and often spend far more time with patients and family during wellness and illness/injury exams. Nurses provide most of the healthcare teaching and are the most trusted professional parents look to for advice and information. Updates and new tricks and tips for improving bedside manner and social skills for nurses can also be found in CE courses. Physicians and nurses often share their skills in handling difficult patients as well as well-baby and child care to improve parenting skills. Understanding how health care literacy affects patient care in the pediatric field is another unique situation where pediatric nurses need to constantly evaluate their skills and knowledge base. Then they need to be able to explain and educate at a level so that both the child and the parent can comprehend and comply. Health care literacy is not just about being able to read and write; it means being able to comprehend and apply new knowledge. Health care education also has to consider the factor that patients and family members may be under undo stress and even shock from an unexpected event or new diagnosis. Pediatric nurses have to poised and prepared to face new challenges every day. Innovation and invention are key skills for nurses but for pediatric nurses, the ideas may also require downsizing to fit a much smaller patient and his or her very frightened parents. Continuing education for pediatric nurses is also scaled down and customized to fit the unique challenges for pediatric nurses. Take this opportunity to explore more pediatric nursing by taking this CE course (worth 2 CE hours).